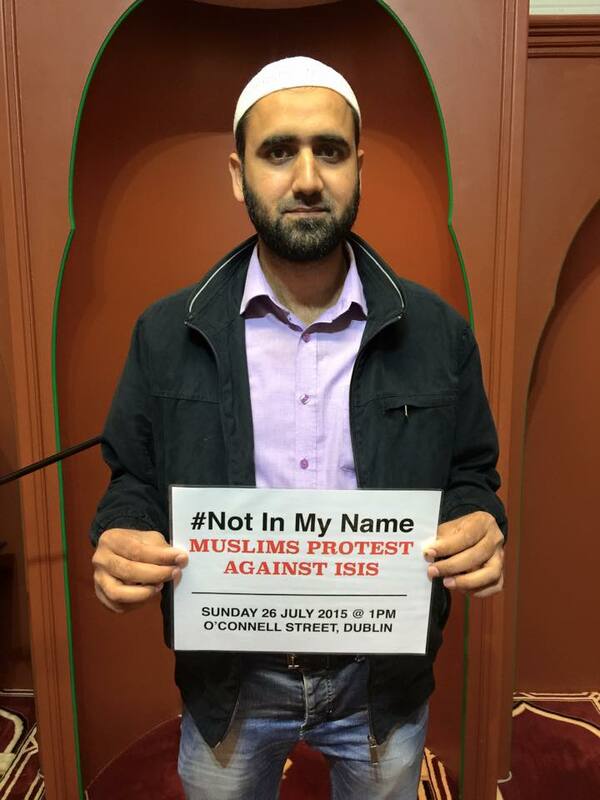 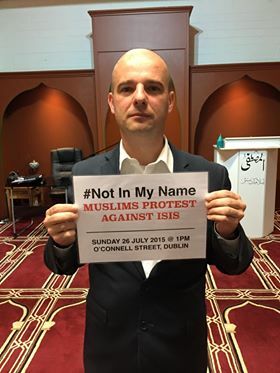 * Islamic Foundation of Ireland (South Circular Road Mosque) We regret to inform that Islamic Foundation of Ireland has decided now not to support the protest despite earlier promise of supporting the protest. 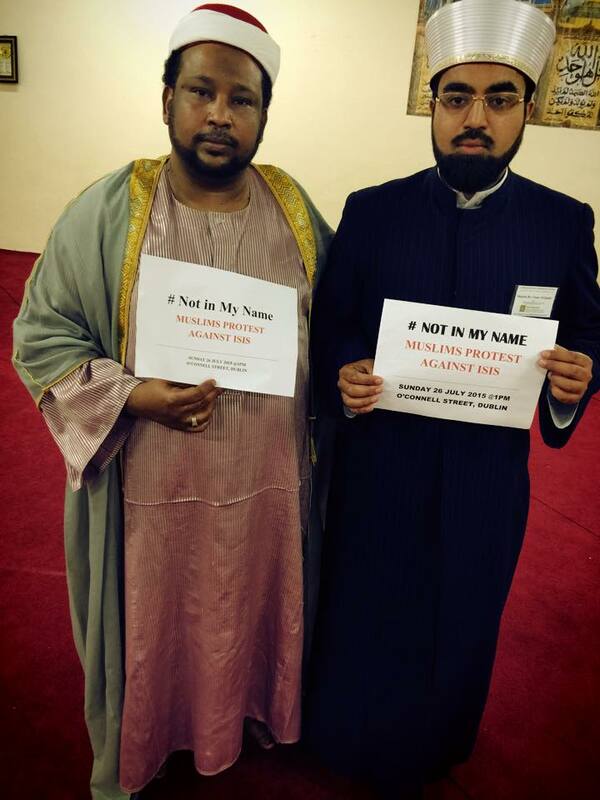 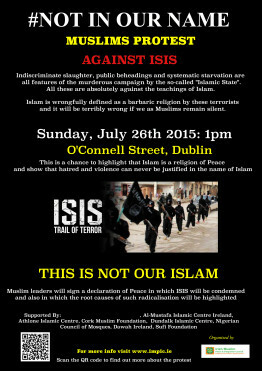 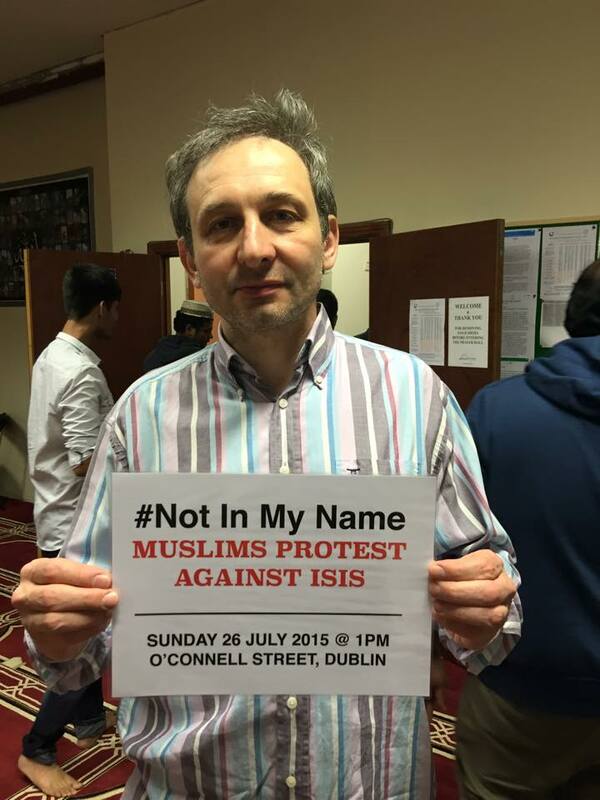 Islamic Foundation of Ireland is also not allowing for the posters to be put on their noticeboard. 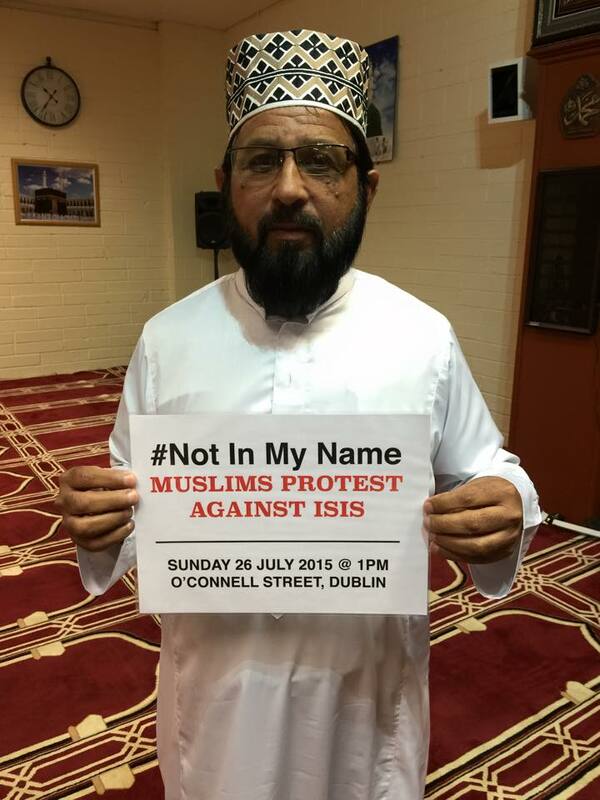 The question we are asking is why are they not supporting the protest and have they backed out ? 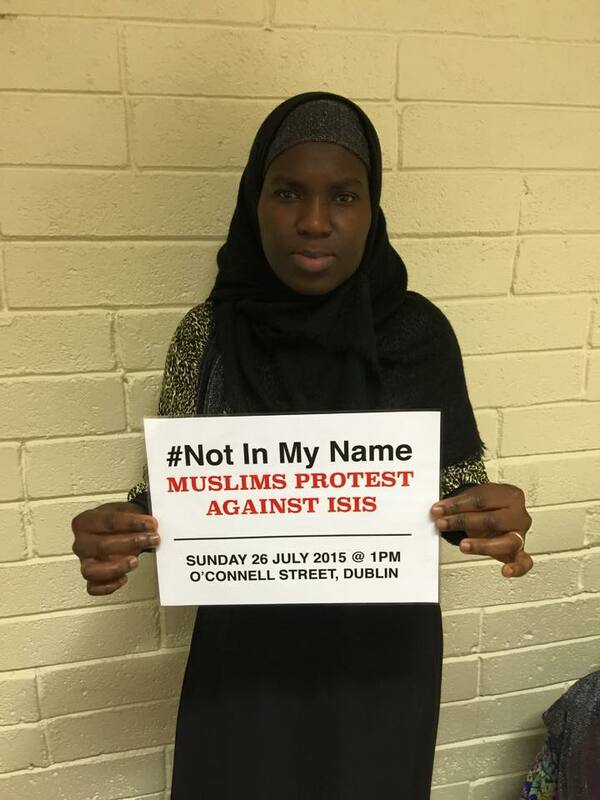 Is it because as an organisation that has been 30 years working in Ireland, they should have taken the initiative and organised a protest to condemn terrorism. 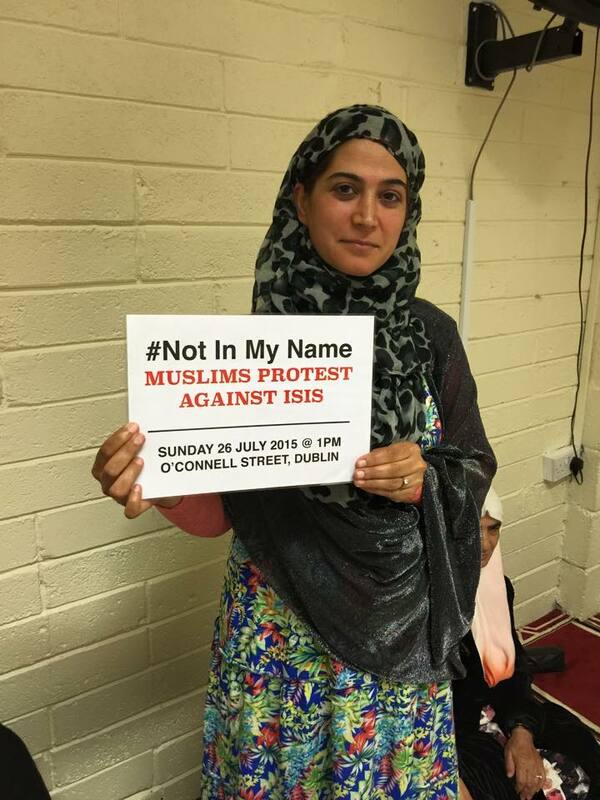 Or more worrying are they not willing to support a protest against ISIS because it will upset some of their followers and affiliates ? 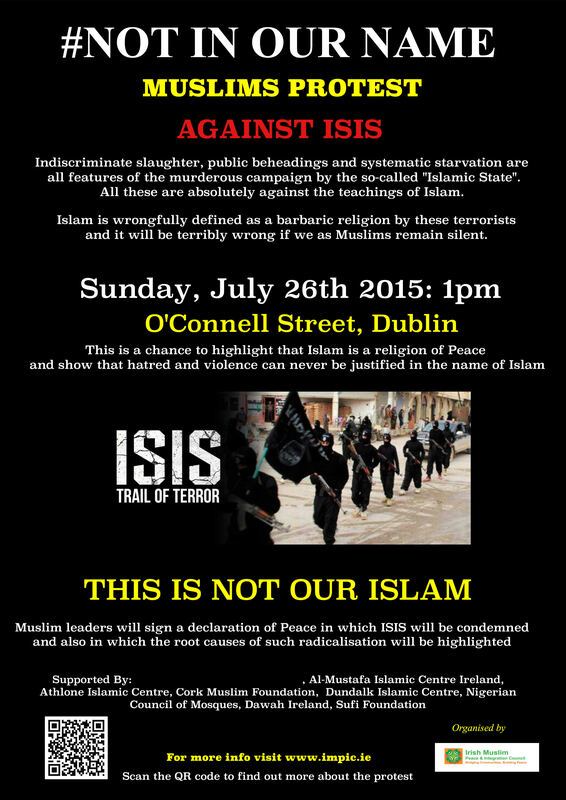 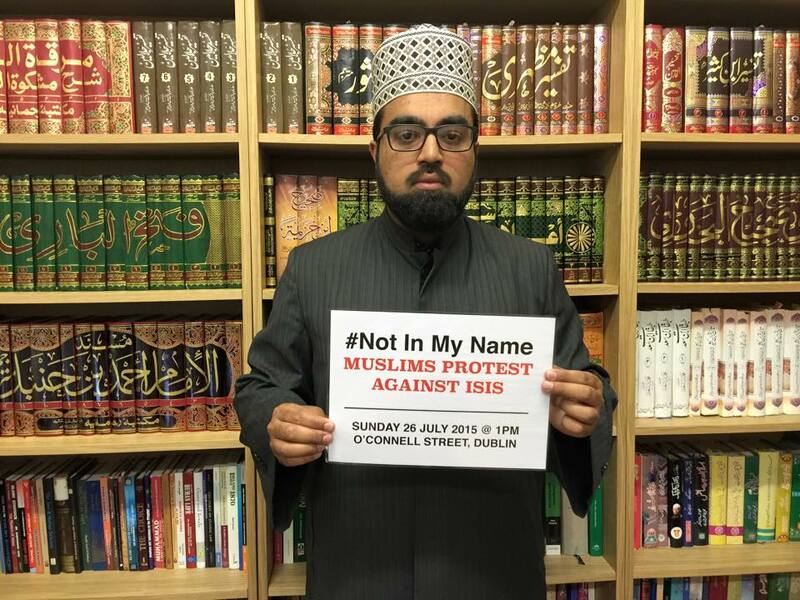 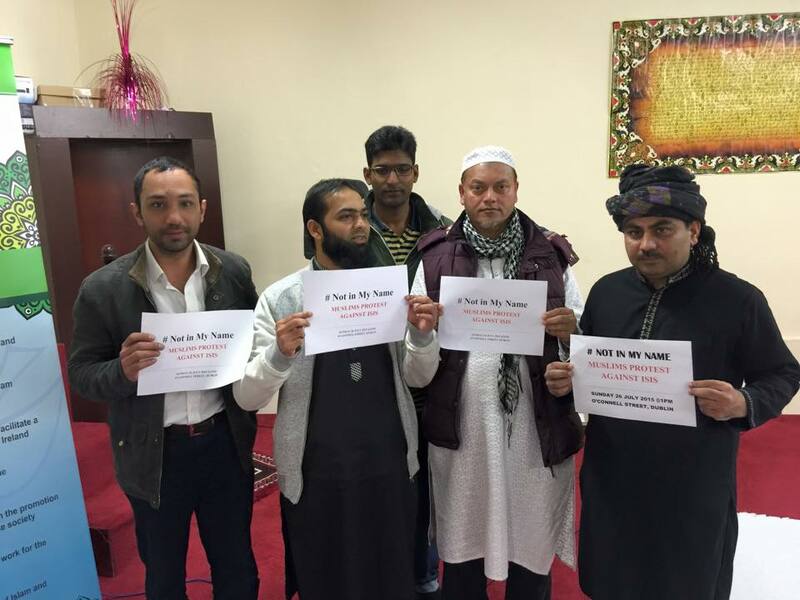 We demand an answer from the IFI why they are not supporting a protest against ISIS. 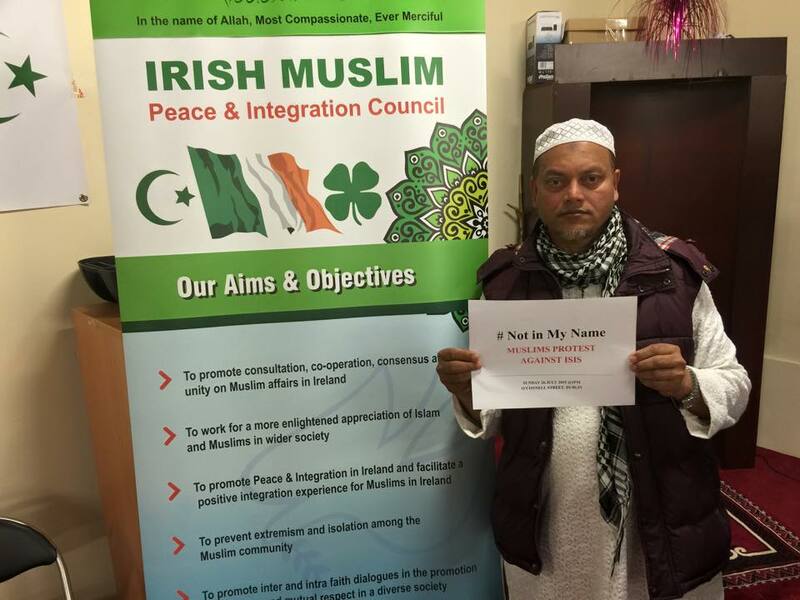 IFI has in the past supported protests against Israel, Caricatures of the Beloved Prophet Muhammad (PBUH) and Chinese Government in the form of allowing posters to be displayed on their noticeboard and announcements during the Friday prayer.